Myth of the Empty Continent | Critical Enquiry - Deconstructing pseudohistory since 1999! For many Americans, the traditional imagery of pre-Columbian North America is one of small or medium sized native tribes living in vast, primeval forests or on rolling plains largely unaltered by human hands. The first part of this evocative description is relatively accurate, since settlers moving West often traveled through large swaths of unoccupied land, encountering native tribes only occasionally if at all. The "American Progress" conception, with the "light" of civilization driving the "darkness" of primitivism inexorably Westward. However, physical and other evidence indicates the pre-Columbian population of North America was much larger and more advanced than popular myth has taught. As a result, the land in many regions was far from pristine. Native tribes engaged in large-scale agriculture, built towns, roads, and temples, and conducted far-ranging commerce. Vast areas of forest were regularly burned to create and maintain fields and prairies for agricultural use. Natural resources were managed in order to improve the availability of various foods. Thriving civilizations were found across the continent. 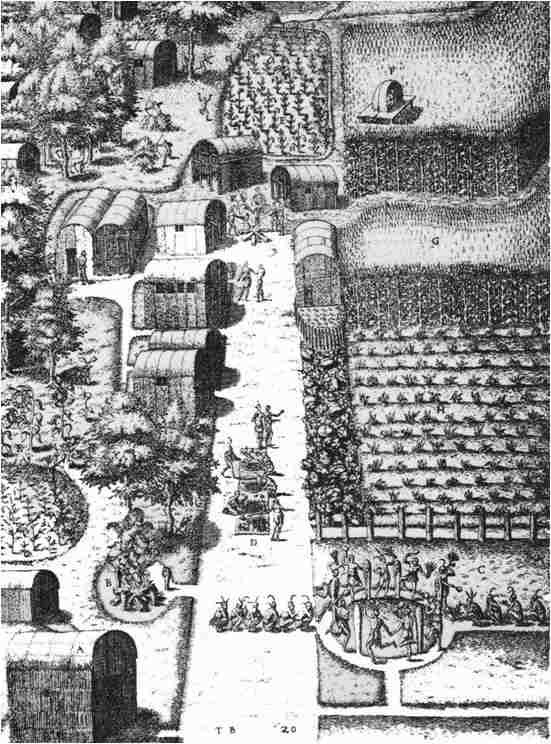 Yet, by the time settlers arrived in significant numbers, many tribes had vanished or were vastly reduced in number and power through disease and warfare. Native settlements and agricultural efforts had largely vanished over perhaps centuries of neglect. No firm count is possible due to a dearth of written records, but estimates of pre Columbian native populations in the Americas range between 20 and 100 million, with a “consensus estimate” of between 40 and 80 million. Geographer William Denevan has suggested a total of 53.9 million, with a breakdown of “3.8 million for North America, 17.2 million for Mexico, 5.6 million for Central America, 3.0 million for the Caribbean, 15.7 million for the Andes, and 8.6 million for lowland South America.” He estimates only 5.6 million remained by 1650. An absence of major settlements and large tribes convinced many 19thcentury American scholars and settlers the continent had been largely empty prior to the arrival of European explorers. 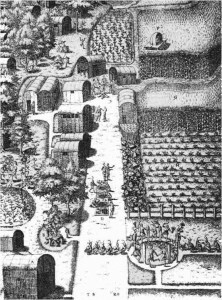 They also seem to have been unaware of first-person accounts written by early explorers such as Hernando De Soto, as well as letters and diaries kept by early colonists who described the size and complexity of native societies they encountered. 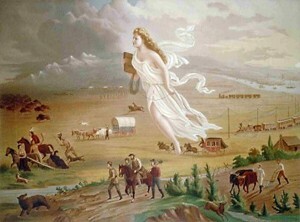 The decimation of native tribes by disease, and the resulting impression that North America was home only to small, primitive settlements helped foster the “manifest destiny” myth that the newly formed American nation was destined to conquer and civilize a largely “empty” continent. 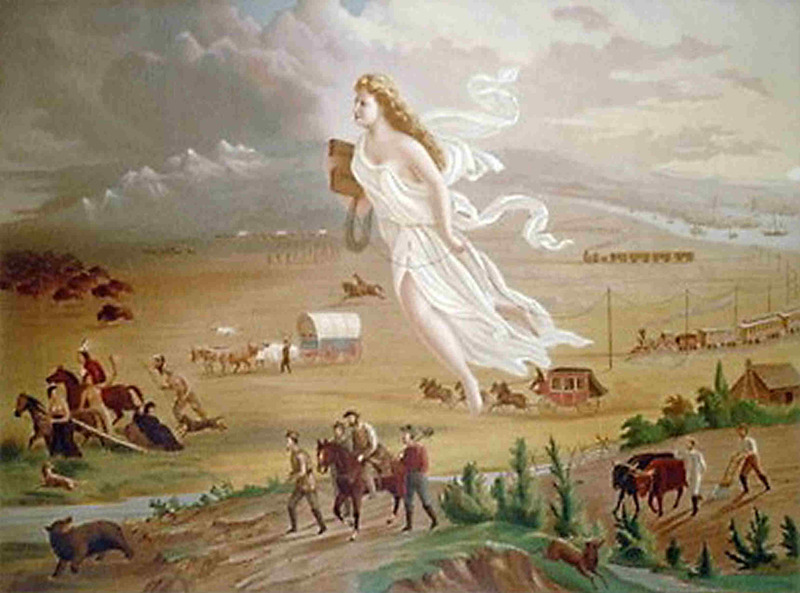 19th century historians such as Frederick Jackson Turner popularized the latter, in conjunction with the related myth of the frontier as a steadily westward-moving line between civilization and primitive life. Later it was adopted into public school history texts and taught to generations of students. Vestiges of these teachings persist to this day. For an excellent introduction to this subject, pick up a copy of Charles Mann’s book 1491: New Revelations of the Americas Before Columbus. 1 Comment to "Myth of the Empty Continent"
Incidentally, an extended version of this article appeared in the August/September edition of History Magazine (see http://www.history-magazine.com). Pick up a copy now!